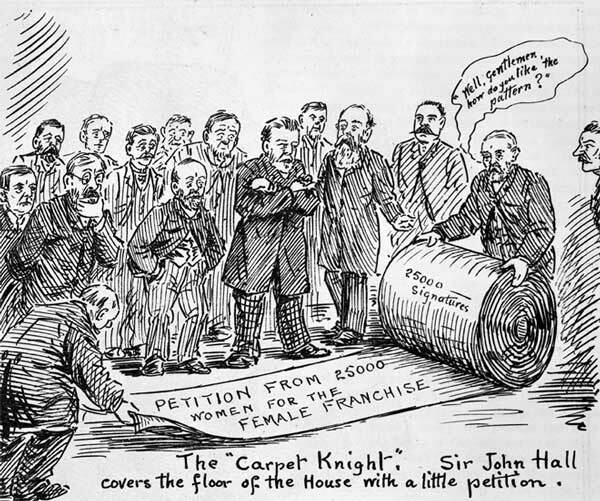 Former Premier Sir John Hall unwinds, in the manner of a carpet roll, a 25,000-signature petition presented to Parliament in 1893 supporting women's suffrage. He asks his political colleagues whether they liked 'the pattern'. Enough of them did to pass legislation giving the women the vote in time for that year's general election.